View More In Memory Card Cases - Page 5. - Double layer storage design keep your cards organized and gain easy access to your cards. 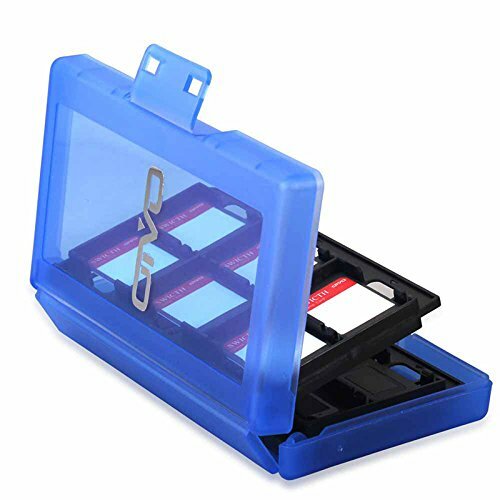 - If you prefect to put all your Nintendo Switch game cards in a small case rather than try to carry around all the game boxes, HelloPower Game Card Case could help you a lot. -HelloPower Game Card Case protect your card from dust, scratches, dropping. The Super Premium Game Card Case stores up to 24 Nintendo Switch game cards or TF cards, easily get the cards in and out. Durable and crystal plastic game card holder protects your game cards from dust, scratches, dropping. Tough durable outside, double layer storage design, solid lock system for carrying your cards and keep cards in one place tightly. Light weight case can be carried around for your needs and gain easy access to it at anywhere, anytime. Each slot is strictly tailored to fit the card perfectly, keep your cards organized while traveling. If you have any questions about this product by HelloPower, contact us by completing and submitting the form below. If you are looking for a specif part number, please include it with your message.